ISSUE: Does your A/C system need repair now? For that critical A/C repair, hire a qualified HVAC professional to do the work right! SOLUTION: Contact California Energy Consultant Service. Our NATE-certified HVAC professionals are ready to repair your A/C system. CECS has decades of experience in A/C system installation, repair, and maintenance. Our customers all over Greater Sacramento have rated & recommended us as top 5-Star providers for home performance solutions: HVAC repair & replacement, windows, doors, insulation, whole-house siding, and home energy efficiency. 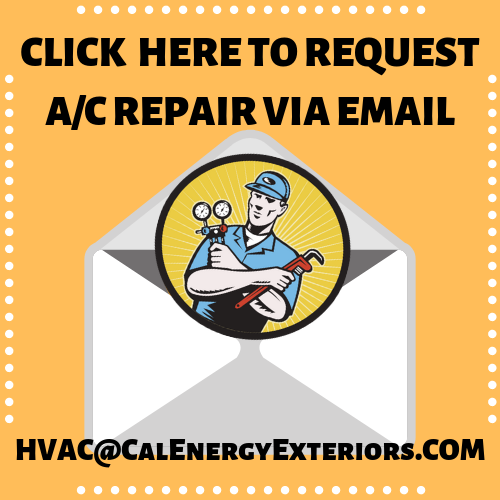 California Energy Consultant Service has been keeping A/C systems running well for thousands of homeowners in the Sacramento Valley since 1981. Our A/C Repair Professionals are NATE Certified.